Spencer Berry, professor of biology Emeritus, died Nov. 19 at his home in Middlefield, Conn. at the age of 72. 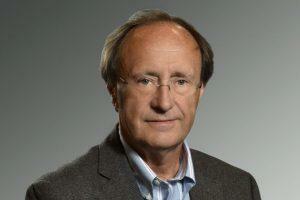 His career at Wesleyan spanned 35 years. Berry joined the Wesleyan faculty in 1964 and retired in 1999. He earned a bachelors of art in biology from Williams College with a minor in art history; a masters of arts in biology from Wesleyan; and a Ph.D at Western Reserve University. An expert in the mechanisms of insect development, he held a National Institutes of Health (NIH) Career Development Award from 1971 to 1976 and received several research grants from the NIH and National Science Foundation. He published more than 40 papers in professional journals, and he delivered talks at many professional meetings and conferences. Professor Berry also was a valued contributor to Wesleyan, serving on the Advisory Committee, the Association of American University Presses Executive Committee, the Editorial Board of the Wesleyan University Press, the Health Sciences Advisory Panel, the Faculty Committee on Rights and Responsibilities and several administrative search committees. In the local community, Berry was a founding member of the Middlefield Land Trust, vice-chairman of the Middlefield Conservation Commission and the Middlefield Inland Wetlands Commission. He is survived by his wife Susan, daughter Alice, sons Matthew and Peter and several grandchildren. A memorial service for Berry was held Nov. 29 in the universitys Memorial Chapel. 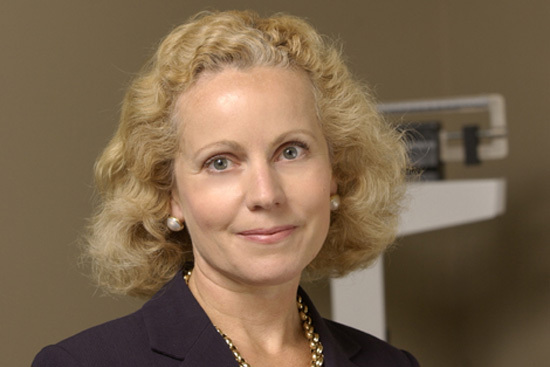 Ruth Striegel-Moore, professor and chair of psychology, is leading a binge-eating study. The largest, most comprehensive binge-eating study ever undertaken has been initiated in Portland, Oregon, and the primary investigator is Ruth Striegel-Moore, professor and chair of psychology. Striegel-Moore, an internationally-recognized expert on eating disorders, says the study will last four years and include male and female subjects between 18 and 50 years of age. People participating in the study who present with eating disorders will be offered treatment options. The study is being funded by National Institute of Mental Health, the National Institute of Diabetes, Digestive and Kidney Disease, and Kaiser Permanente Center for Health Research of Portland, Oregon. Kaiser-Permanentes inclusion is also part of the reason that this study will offer opportunities for ground-breaking inquiry. The HMO maintains an extensive database of all its members health care visits, conditions and treatments, as well as significant demographic information on each patient. It has extensive procedures in place that ensure patients information is protected and that individuals participation in the study is completely voluntarily. As a result, Striegel-Moore and her co-investigators will be able to look beyond the immediate data generally associated the eating disorder studies. The studys initial phase, a screening of nearly 7,000 men and women, is just finishing up. The screening phase targeted respondents randomly, rather than inviting participation only of individuals who self-identified as having a problem with their eating behavior. This component is unique and permits a more accurate estimate of the extent of binge eating in the community than when research relies on individuals to judge whether they have an eating problem. However, not everyone suffering from binge-eating is aware of the problem. “Not seeking help can lead to needless suffering and create additional health problems that include obesity, heart conditions, infertility and hypertension,” Striegel-Moore says. She adds that, when studies selectively recruit individuals with eating problems and fail to actively recruit individuals who do not experience eating problems, the number of individuals who suffer from an eating disorder that are identified will be inflated. Striegel-Moore says that this is the first major study to include male subjects and such a broad age range. As a result, the study will provide new data on how common binge- eating is in men and individuals who are beyond college-age. From the initial pool of respondents, 250 people will be identified for the second stage of the study and invited to participate in treatment. Each participants progress will be followed for a year. Researchers will analyze the effectiveness of the treatment options on several levels. Red & Black Society member Megan Lesko ’06 talks to alumni while raising funds for the Wesleyan Annual Fund for Excellence. Pictured below is Allie Joe, ’05 and Joshua Atwood ’08. Lesko and Joe are both student managers for the society. 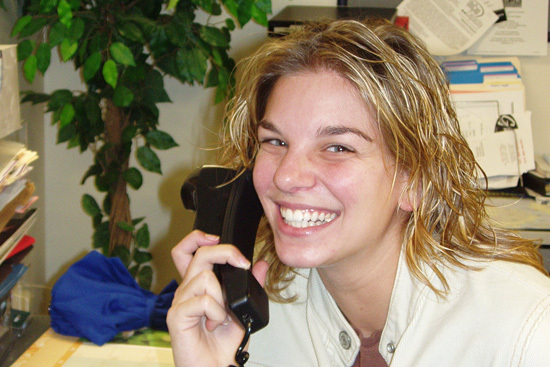 Emily Frost 06 knows it takes courage to call and speak with strangers. As a member of Wesleyans Red & Black Society, she is learning how to transform what could be an awkward conversation into a more meaningful exchange. 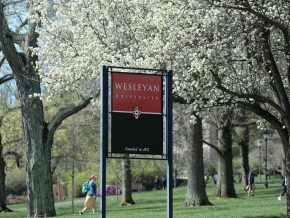 Frost is among 60 Red & Black Society members who call alumni and parents requesting gifts to Wesleyan through the Wesleyan Annual Fund for Excellence (WAFE), which defrays costs not covered by tuition and income from the universitys endowment. This year, students will help Wesleyan to meet critical goals of $12 million in current-use money. 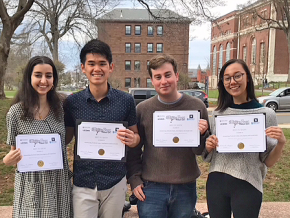 Along with student calling, personal solicitations by University Relations staff members, volunteer solicitations from phonathons, homes and offices and mailings round out Wesleyans fundraising efforts. Students tuition and fees cover approximately 70 percent of the actual cost of educating each student. The Wesleyan Annual Fund for Excellence supports financial aid, faculty salaries, campus improvements, library resources, the arts, athletics and technology. Regan Schubel 01, assistant director of the Annual Fund, says about 200 students apply and are trained to be Red & Black callers every year. Selected students undergo 10 hours of intensive training before making any calls to alumni or parents. Most calls, Schubel says, average 10 minutes. First, students update alumni contact information, then spend a few minutes talking about campus, new buildings, projects and programs, and educating alumni about recent Wesleyan events. The callers answer alumni questions and often discuss issues related to life after Wesleyan, or Wesleyan memories. The student explains the benefits of giving and requests a gift or pledge at the end of the conversation. The Red & Black callers work the entire fiscal year, from the start of fall semester until June 30. During the 2004-05 academic year, Red & Black callers raised $513,511 from 6,094 alumni and parent donors. 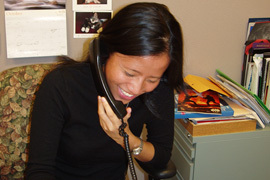 Mosah Fernandez-Goodman 04, associate director of the Annual Fund, spent three years as a student caller before becoming the programs manager after graduating. He recommends that students interested in sales, business or fundraising join the society. 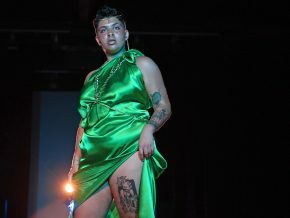 Frost, who plans to pursue broadcast journalism after graduating, says the experience has taught her how to speak more eloquently in conversations. 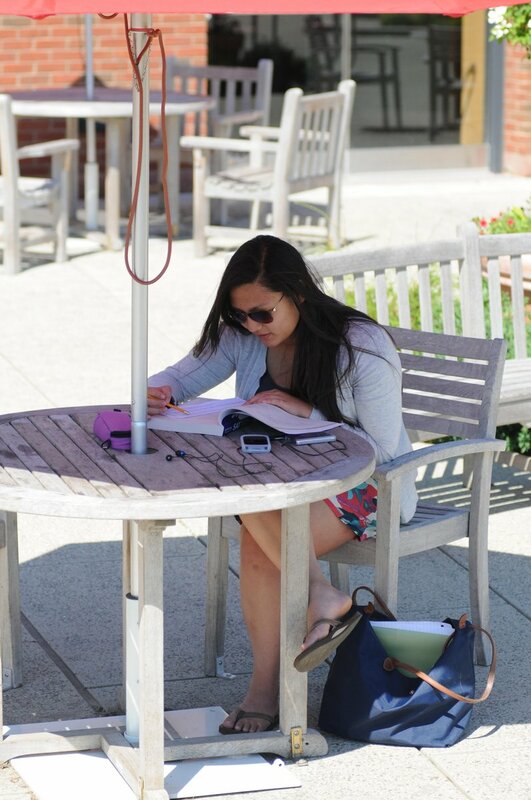 She also enjoys chatting with alumni, and learning about their career paths and other post-Wesleyan experiences. The students, who come from many states and several countries, work two to three evening sessions, Sunday through Thursday, each week. For their work, students earn an hourly wage and bonuses, along with pizza and snacks. Making a connection is the most difficult part about calling alumni and parents. Some nights, a student may dial 300 numbers without one answer. Other nights, they may reach 15 alumni or parents and receive gifts from each. The record number of gifts solicited by a single caller in one night is 30, and 125 in one night as a program, Fernandez-Goodman says. We want the alumni to know that the students will be calling and to please answer their phones, Fernandez-Goodman says. The Red & Black students make calls from the WAFE office on Mt. Vernon Street. Any student interested in becoming a Red & Black Society member should contact Regan Schubel 01 at 860-685-2253 or e-mail rschubel@wesleyan.edu. 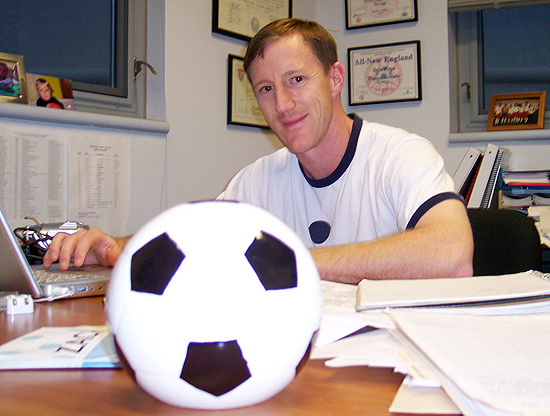 Geoff Wheeler, men’s head soccer coach, led Wesleyan to its first New England Small College Athletic Conference Championship this fall. Q: Just incase our audience hasnt heard the big news, can you tell us why you and the mens soccer team has been celebrating recently? A: Wesleyan captured its first ever New England Small College Athletic Conference (NESCAC) Championship in any sport when the mens soccer team defeated Amherst and Williams in the same weekend. As the No. 7 seed in the tournament, we upset No. 2 Bowdoin in the first round before going on to defeat No. 1 Williams in the semi-finals and then No. 4 Amherst in the finals. The victory over Williams marked the first triumph over the Williams Ephs since 1992. With the championship came an automatic bid to the NCAA Division III tournament, another first for the program. The mens team defeated Muhlenberg in a thrilling 3-2 overtime victory before falling to No. 1 seed and defending national champs Messiah 2-1 in overtime in the second round. Q: Who were your key players? A: Accompanying the success came some appropriate post-season honors, including NESCAC Rookie of the Year for Matt Nevin 09, who finished the campaign with nine goals and five assists. Earning 2nd Team All-NESCAC honors was Jared Ashe 07, who made the move from forward to defender early in the year. A: They named me the NESCAC Coach of the Year. Q: In 2004, Wesleyan qualified for its fifth consecutive NESCAC tournament, earning a top four spot and a home playoff game for the first time in the program’s history. At that point did you foresee the team making it so far this season? A: Although we graduated a strong class of eight seniors from the 2005 team, this 2005 squad had all the talent to make the run we did. We certainly had questions at the beginning of the year but the players answered them all with undeniable commitment and certainty. Our co-captain seniors Noah Isaacs 06 and Kevin Lohela 06 did a fantastic job leading this young but talented group. Q: When were you hired at Wesleyan as the head mens soccer coach? How did you feel stepping into the shoes of long-time head coach Terry Jackson, who might accurately be regarded as a legend in the annals of Wesleyan soccer? A: I was hired as the mens coach in the spring of 1999. And what an honor to succeed Terry Jackson, not only a legend in Wesleyan soccer lore but also an icon in the soccer community at large. In fact, when I was a senior in high school, I visited Wesleyan and met with Coach Jackson. I remember how friendly and warm he was as we toured Wesleyan. Never did I think I would have the opportunity to return not as a student but as a coach. Just as Coach Jackson was so kind during my high school days, he has been equally supportive as I have attempted to carry on the strong Wesleyan soccer tradition he built. Q: At Dartmouth, you were a four-year letter-winner in soccer, helping the squad qualify for the NCAA tournament twice as well as capture two Ivy League titles. 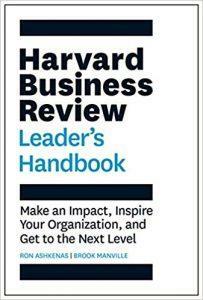 What skills and lessons do you bring from your own experience and stress to your team? A: Its what we do. Its the wee things. These quotes sum up the lessons I learned at Dartmouth and what I try to pass on to my players every day. When we play, we try to focus all our energy on our work rate, our attitude and our reaction to adversity. Theres not much we can do about the referee, the weather, the field or even the other team so we focus on what we can control. When we travel, we look sharp in coats and ties. We leave a clean locker room after a game, a clean bench. Q: What did you major in at Dartmouth? What made you decide to become a coach? A: I was a history major at Dartmouth with a concentration on 20th century American history. I decided to coach when I realized that I may be lucky enough to do it for a living. Its hard to believe I get paid for what I do. I had so many good coaches growing up that when it came time to figure out a direction I wanted to take, I thought of those people who had influenced me most – my coaches. It was a natural progression from playing the game I love to also coaching it. Q: After college, you played in Zimbabwe? What other teams did you play for before becoming a coach? A: After college, I had a unique opportunity to play in Zimbabwe where my college coach had actually previously coached. For a year, I played for the Bulawayo Highlanders, a member of the SuperLeague in Zimbabwe. When I returned to the States, I had stints with several semi-pro teams, including the Cape Cod Crusaders of the United Systems of Independent Soccer Leagues (USISL), as well as the Connecticut Wolves and the Boston Bulldogs of the A-League. Now, I play for an over-30s team based in Westport and am constantly reminded it always looks pretty easy from the sideline! Q: I understand you have played soccer professionally, even while you were coaching at Wesleyan. How would you describe that experience? A: When I first arrived at Wesleyan, I thought I could both play at a high level and coach at Wesleyan. I played in Boston for a short time after I arrived, making the commute up I-84 three to four times a week. When the Wesleyan season approached in August, I had to stop playing and commit myself to the team here. The next year I joined the local team, the Wolves. On both teams, I was exposed to different coaches and different styles, picking up bits and pieces that I could bring back to the Wesleyan squad. Ultimately, I needed to step away from my playing days to become a more effective coach but I certainly think my professional playing experience has helped develop my coaching abilities. Q: You currently hold a United States Soccer Federation license and received an advanced national diploma from the National Soccer Coaches Association of America in 1998. Are these required to coach? A: Fortunately, you do not need a license to coach, but it does help when you are applying for jobs! I currently have an A license from the United States Soccer Federation and was recently awarded a Premier Diploma from the National Soccer Coaches Association of America in January of 2005. Q: As a player at Dartmouth and an assistant coach at Stanford, you have always been around high-achieving college athletes. How do Wesleyan’s student-athletes compare with those you have seen at these other colleges? A: Wesleyan student-athletes hold the same values I encountered at both Dartmouth and Stanford. They are all highly-motivated individuals who excel on and off the field. Q: Are you still the co-director of the East Coast Soccer Academy? How long have you be doing it? A: Yes, I am still co-director. It was founded in the summer of 2001 when Brian Tompkins, the Yale Mens Soccer Coach, and I decided we wanted to bring top student-athletes to our campuses and expose them to our schools as well as our coaching staffs. Both of us have benefited immensely from the camp and there are currently over 10 graduates of the East Cost Soccer Academy on the Wes team. Q: How did you get into the sport? How old were you? A: I first started playing when I was 5-years-old. I started playing with the Vista Vampires in Portland, Oregon and have played ever since. Q: In addition to coaching, what physical education classes do you teach as an adjunct assistant professor of physical education? Do you enjoy working with students at all skill levels? A: I currently teach squash and indoor technical climbing. Its great to get to know another part of the Wesleyan student body through the PE classes. The rate of improvement is often great among the students who take the classes  its always enjoyable to teach a sport to someone who has never tried it, whether its soccer, squash or climbing. Q: Rumor has it that you have become quite a squash player since arriving at Wesleyan while serving as the men’s assistant coach. Is squash now your number two sport behind soccer? A: Squash is a great winter game. After years of chasing the ball around the court trying to keep up with the college kids, I have managed to learn a few things along the way. Former squash and tennis coach Don Long was a great teacher when I first started and now I enjoy competitive games with several other coaches as well as a few faculty members up campus. Q: Is it true you met your wife at Wesleyan? And I hear your son, Sam, is the darling of the athletic department. A: Holly, who is the head coach of the womens Lacrosse team, and I started working at Wesleyan at the same time, seven years ago! Unbelievable that is was that long ago now. Our boy Sam of 15 months is often seen raging up and down the hallways of the offices, eager to find new playmates. If you offer him some food, you will find an immediate friend. Q: Tell me about your hobbies and interests outside of coaching and teaching. A: Outside of coaching and teaching, I spend a lot of time with family. Hollys folks live in Boston and mine are up in Maine so we love to go visit them. I have a sister who teaches at Suffield, just over 45 minutes away, and a twin brother in Philly who has three children. Home projects often take up a lot of time as well, including a new deck, a re-finished basement and the taking down of trees in the backyard. When Holly and I find the time, we enjoy taking our kayaks out for a paddle on the nearby lakes. But most of all, we love spending time with Sam! Wesleyan will reduce its budgetary reliance on endowment over the next five years as part of a strategic effort to increase the size of the endowment. At the same time, it will spend more on fund-raising activities with the expectation of substantially increasing revenues, and it will invest a higher proportion of new gifts in the endowment. While trustee policy has allowed a 5.5 percent annual draw from the endowment to support the operating budget, two special, additional draws were instituted in the past few years. The first of these, a roughly 0.4 percent draw this year, has been used to build and sustain the Wesleyan’s fund-raising organization. The second, approximately 1.5 percent, represents gifts invested alongside the endowment through the so-called Campus Renewal Fund and drawn down each year to pay debt service on the bonds sold to build and renovate campus facilities. 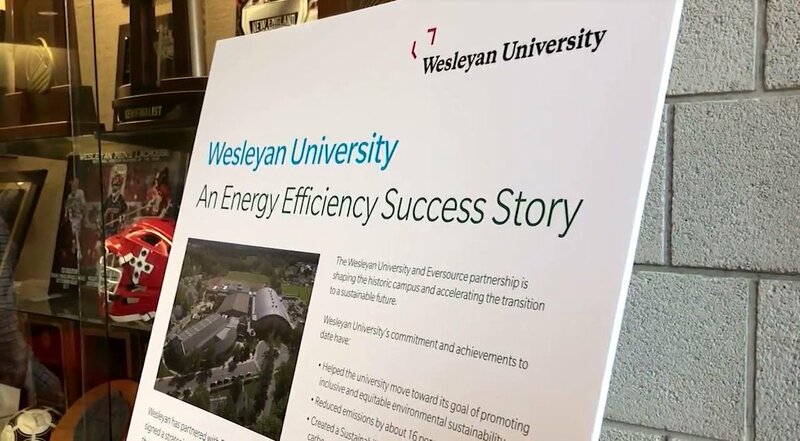 Together, these draws total 7.4 percent, a level that conflicts with Wesleyan’s goal to build the endowment and its plan to borrow in future years to finance additional facilities. Accordingly, at their November meeting, the Board of Trustees reviewed scenarios for reducing the total draw to 5.5 percent and endorsed an administrative proposal to phase it down over five years to produce approximately $5.6 million in cumulative savings. This five-year plan is intended to allow for targeted reductions in the operating budget, as well as a restructuring of the Campus Renewal Fund to meet debt service obligations without a period of co-investment. Bennet and Interim Vice President for Finance John Meerts have met with faculty, staff and student groups to explain the change in financial practice. Meerts has invited members of the community who have suggestions concerning operating efficiencies to contact him. The Office of Finance and Administration will establish a Web site to solicit such suggestions and report on their implementation. 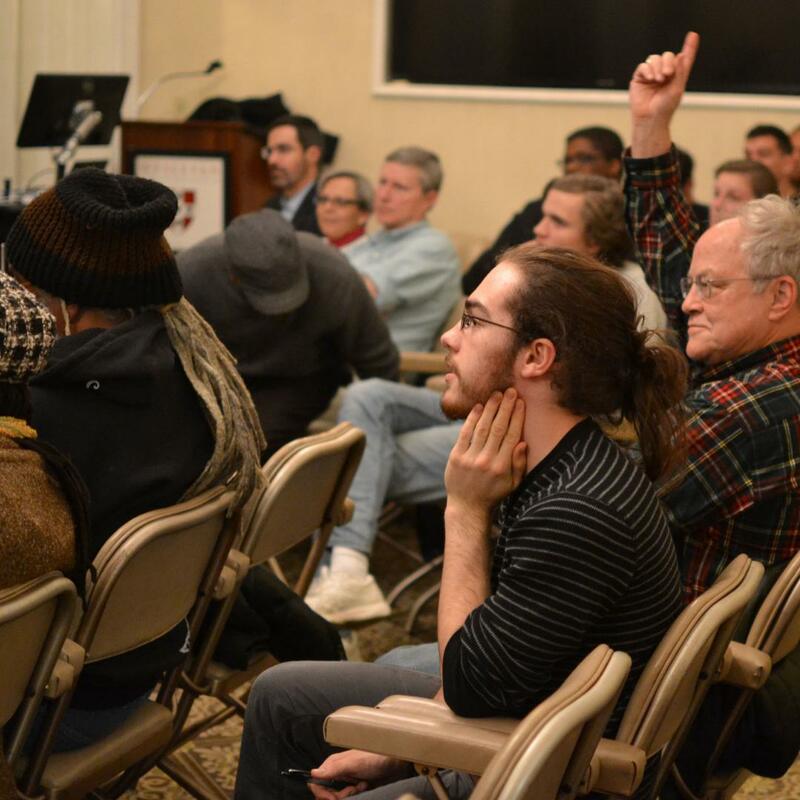 At the same meeting at which it was decided to reduce the University’s total endowment draw, the trustees also endorsed a plan to invest roughly $3 million in new resources in fund-raising activities. These funds, to be raised through donations, would augment fund-raising, alumni events, communications, and administrative support in order to accelerate the growth of Wesleyan’s annual gift revenues. Specific plans for this investment are being developed in consultation with the CORE Group, a firm that uses aggregate fund-raising data from more than 50 top private colleges and universities to provide normative recommendations on the allocation of resources to maximize the return on investment. According to CORE Group projections, Wesleyan’s anticipated investment could yield $26 million per year in additional gift resources in 10 years. Wesleyan has set a goal of increasing the rate of its investment of gift revenues into the endowment. During the current fiscal year, the University will invest gifts equal to 1.5 percent of the total value of the endowment. That percentage will grow incrementally beginning in FY 2007/08, reaching 3 percent in FY 2013/14. Monica Baik, technical sales specialist, taught herself the technical knowledge needed to research merchandise for the Computer Store & Service Center. Q: How many years have you worked at Wesleyan as a technical sales specialist? A: Ive been with Wesleyan for five years, four of those as the technical sales specialist. Before that I worked for a year as an administrative assistant in Finance and Administration. Q: What is the purpose of the Computer Store & Service Center and who does the store service? A: The Computer Store & Service Center is here to provide technical products and services to the Wesleyan community. We offer computers and accessories for sale, as well as computer repair services. Its actually a three-tier system. I research merchandise for the store and for the Wesleyan community; the students operate the store front; and the technicians repair the machines. Q: Are you more at the sales-end of things, or are you interested in the hardware/software as well? A: Im on the purchasing end, which includes hardware, software and everything in between. Q: How did you acquire your technical expertise? A: My computer and software skills are self-taught. I bought my first computer in 1992 and just began poking around. The hardware technical skills are from having a natural curiosity about how things operate and listening to the service technicians. Q: What is the hottest item for sale in the Computer Store? 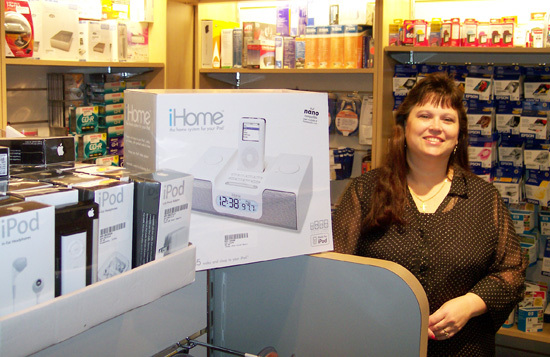 A: The hottest item we sell, and the most popular, is the Apple iPod. Everybody wants one! We have the newest in stock now, which are the 30GB and 60GB video iPods. Q: What are the most common questions people ask you? A: On the research and purchasing end of things, people generally ask me about availability and price of an item theyre searching for. In the store, people generally ask the students about headphones and Microsoft Office. Q: What is the best part about working in the Computer Store? Is your job challenging? A: I enjoy being able to help people find what theyre searching for and at a price that is competitive with, or better than, area retailers. We serve such a diversified customer base that every day brings a different challenge. Q: What are your job duties as a technical sales specialist? A: My responsibilities include listening to members of the Wesleyan community to determine their needs, performing merchandise research, processing purchase orders, maintaining accounts payable, reconciling daily accounts and deposits, acting as vendor liaison and providing administrative support for the store manager. Q: How do you spend most of your day? A: The majority of my time is spent researching merchandise for the Wesleyan community. Faculty, staff and students e-mail or call me with requests for specific software or equipment. I use my vendor contacts and various Internet search engines to locate what they need. The next biggest part of my day is processing invoices and keeping the accounts payable up-to-date. Im actually only behind the counter when the students arent available. Q: What did you major in? A: I received my bachelors of business administration from Tiffin University in 1998. I will receive my masters of arts in liberal studies from Wesleyan in May 2006. Q: Who are the key people that work in the store with you? A: We currently have two students, Matt and Earle, working the store counter; one temp, Ginny, who answers the phone and files; three full-time computer technicians, Bob Elsinger, Glenn Carlson and Scott Michael who service the computers; and the store manager, Allen Alonzo. Q: If a department hires a new employee, would someone there contact you to get a system set up for that new employee? A: Yes, most of the computer sales for Wesleyan are through us. When a new hire is scheduled, the desktop support personnel for that department will order a computer from us. The technicians put the Wesleyan capital image on the computer, which consists of standard software used campus-wide. Q: Do you personally use a Mac or PC? Are you a high-tech-junkie? A: I used to have a Windows computer, but since working here, Ive switched to a 20-inch iMac. I have a 60GB iPod, which holds my entire music collection, as well as audio books and photos. Since Im anxiously waiting for a larger iPod, I guess you could say Im a high-tech-junkie! A: Im an avid reader and writer, always carrying a book or notebook wherever I go. 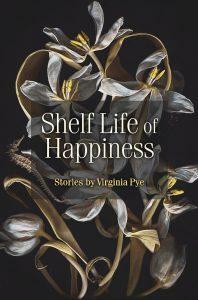 Im currently working on a book of short stories. I also enjoy crocheting baby afghans and bonnets for hospitals. A: Im married to Brian, a transportation planner for Bradley International Airport. I have two sons. Bryan, 20, is also a high-tech fan, who lives and works in Ohio. Matthew, 17, attends Middletown High School and volunteers in the animal lab here at Wesleyan. Were all movie buffs and have a pretty extensive DVD collection. Q: What would you say is the most unique thing about you? A: I have a need to please! As the middle daughter of six children, Ive always been the negotiator, advisor or mediator who smoothes ruffled feathers. People seem to recognize that Ill listen and help when I can. The McNeil family will celebrate Thanksgiving in their new home built by more than 250 students, faculty and staff and community volunteers. Wesleyan University and Northern Middlesex Habitat for Humanity formally welcomed Jennifer McNeil and her family into their new home on 34 Fairview Avenue on Nov. 13. 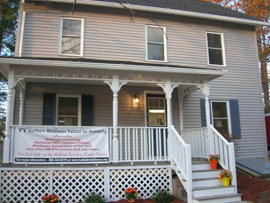 Wesleyan donated the four bedroom, white colonial to Habitat for Humanity last year and faculty, staff, students and other members of the Wesleyan community assisted with the home’s renovations. 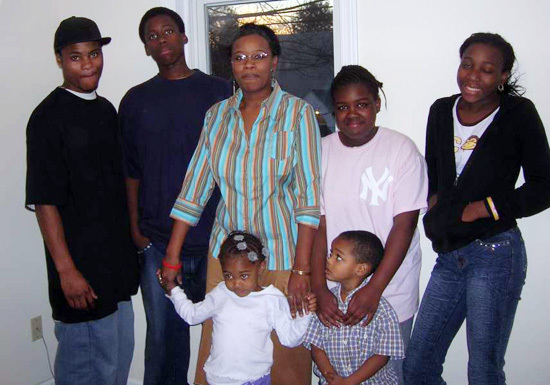 McNeil is looking forward to cooking Thanksgiving dinner next week with extended family members and her five children, Darryl, Tyquan, Titeana, Taquana and Jamarea. Renovations are currently underway on a second house that Wesleyan also donated to Northern Middlesex Habitat for Humanity at 15 Hubert Street. 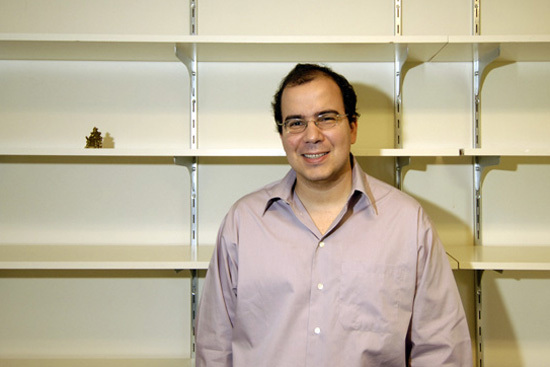 Francisco Rodríguez, assistant professor of economics and Latin American studies, worked as the chief economist of the Venezuelan National Assembly prior to coming to Wesleyan. In the recent Summit of the Americas in Argentina, Venezuelan President Hugo Chávez openly defied President George Bush by reportedly declaring that the meeting would mark the end of Bushs push for free-trade era in Latin America. However, the meeting marked another step in the contentious relationship that Chávez has staked out with the American president. According to Assistant Professor of economics and Latin American Studies, Francisco Rodríguez, this increasingly vocal and confrontational posturing by Chávez is typical. Rodríguez knows this first hand. Hes met Chávez. In fact, Rodriguez has even been a guest at the Venezuelan Presidential Palace. That was in 2002, when Rodríguez was working as the chief economist of the Venezuelan National Assembly (2000-2004) where it was his job to compile economic outlook prediction reports for the country. One of Rodríguez’s reports caught the attention of the moderates within Chávez’s administration. It warned of a looming Venezuelan financial crisis and deep recession. “At that moment, it seemed that the meeting was a positive step towards Chávez becoming a more progressive, democratic leader,” says Rodríguez. It wasnt long after Rodríguezs meeting with Chávez when Venezuelan citizens tried unsuccessfully to oust the dictator from power. The repercussions are being felt to this day. Numerous citizens, journalists and politicians have been thrown in jail for simply speaking out against Chávez. 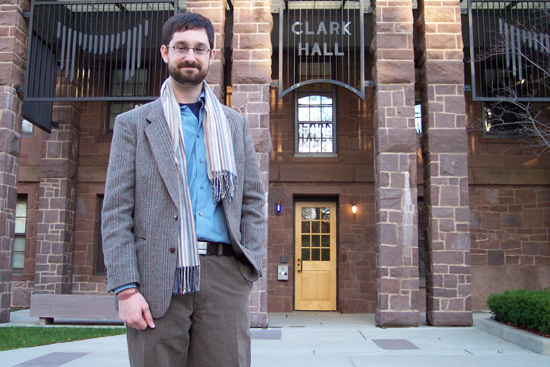 Since joining Wesleyan, Rodríguez has continued much of the same research he conducted while working for the Venezuelan National Assembly. At Wesleyan, he examines economic growth, the political economy and international trade relations of Latin American countries, like Venezuela. One of his most recent papers studies how economic policies like openness, redistribution and liberalization, which are successful within one country, cannot necessarily succeed in another. “There are many relevant interactions between policies, institutions and economic structure that make it problematic to use one countrys growth experience to make inferences about other countries,” says Rodríguez. Similarly, his recent research outlines how open trade could be harmful to Latin American countries. In fact, Rodríguez predicts the free and open trade agreement, proposed by the Bush administration at the recent Summit of the Americas, is bound to fail. Rodríguez is both academically and personally interested in Venezuelas economic issues. He was born in Venezuela, yet admits he is critical of elements of the leftist Chávez administration. “His human rights violations are simply atrocious,” Rodríguez says. Even the new television station, Telesur, whose signal is broadcast over Latin America on a satellite, which Venezuela recently purchased from China, proves what a powerful hold the Chávez administration has on the people. “It’s Latin America’s version of Al Jazeera,” says Rodríguez. However, despite the negativity surrounding Chávez and his government, Rodríguez admits the administration has recently developed some positive social programs to assist the needy. One called “Barrio Adentro” places doctors to live and work in the poorest areas of the country and other, Mercal,” sells food to the needy at subsidized costs. While Rodríguez admits that these social programs have raised living standards among the poor, he is skeptical of the governments intention as well as of the sustainability of their policies. He claims that Venezuelas economy continues to be threatened by high budget deficits and an overvalued exchange rate. These include such projects as a luxurious $54 million A319CJ Airbus plane for Chávezs personal use. Rodríguez says that Chávez and the Kuwaiti royal family are the only developing country government to have purchased the airplane for official use. Another is a case of missing money — $3.2 billion. In 2002, the Venezuelan National Assembly assigned the money to the Macroeconomic Stabilization Fund  a fund the nation uses to protect itself against sudden changes in oil revenues. However, Rodríguez says the funds were never deposited and the government cannot account for their whereabouts. Rodríguez says the funds are thought to have been used to finance political destabilization in other Latin American countries. These revenues could instead be saved, invested and used to pay off Venezuela’s current debt,” he says. Brandon Buehring, area coordinator for Residential Life, helped develop a campus-wide anti-racism discussion board. He also works with the student residents of West College, Clark Hall and Fauver Apartments. 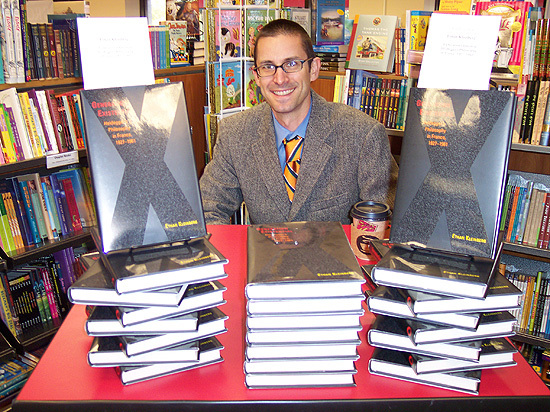 Growing up in southern Texas, Brandon Buehring was taught by his elders, teachers and textbooks that he was living in a post-Civil-Rights-movement racial utopia. Meanwhile, all of his Mexican-American classmates, whose family trees stretched down at least three centuries in to Americas soil, were struggling with the states educational system and government. They were treated, he explains, like invaders. At the time, Buehring chose to believe that these families werent trying hard enough to do better for themselves. 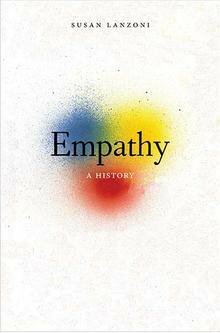 But that all changed when every-day activists  friends, professors, authors, supervisors and even strangers – encouraged him to open his heart and think critically about his own identity and the countrys institutions. As an area coordinator for the Office of Residential Life, Buehring wants to also help members of the Wesleyan community tap into their capacity for empathy while challenging their assumptions about race and systems of power and oppression. With the help of his colleagues he has developed an online vehicle titled Uprooting Racism, to help people process the ideas and theories they are hearing in classes and at campus events, and then work together to bring actions to those ideas. The Wesleyan community can join the discussions and check out the projects Web resources by logging in to Wesleyans Blackboard Learning Systems at www.wesleyan.edu/reslife/uprootingracism.htm and type Uprooting Racism in the search box. 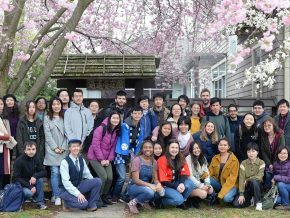 The online discussion Buehring has created seeks to engage members of the Wesleyan community in a critical examination of their racial identities and their positions within an intricate system of racial power and oppression in the United States. The process began when an Uprooting Racism planning committee convened in July. Soon after, potential staff and student collaborators were contacted in late August and early September to get feedback on the project and help to generate interest and support. In late September, a steering committee was formed. They meet about once a month. The Uprooting Racism Steering Committee consists of Buehring, Rich DeCapua, Dawn Brown, Eric Heng, Maureen Isleib, Robin Hershkowitz, Sharise Brown, Frances Koerting from the Office of Residential Life; Leilani Kupo and Nicole Chabot from Student Activities and Leadership Development; Dianna Dozier from the Office of Affirmative Action; Lucy Diaz from Academic Affairs; Marina Melendez of Graduate Student Services and residential advisors Iris Jacob 06, Lashawn Springer 08, and Celia Reddick 06. The project will very much be a work-in-progress for the rest of the academic year and one of the steering committee’s main responsibilities will be continually assessing in which ways the project needs to grow to more closely meet our goals, Buehring says. Committee member Melendez admires her colleagues involvement. Overseeing the Uprooting Racism project is just one part of Buehrings busy day. As an area coordinator, he works with the residents of West College, Clark Hall and Fauver Apartments. He spends his days meetings with colleagues, students and project committees, and during the evening, he gathers with his 18 residential advisors and student residents. Buehring holds a bachelors of art in cinema and studio art from Southern Methodist University in Dallas, Texas, and a masters of education in counseling from North Carolina State University. He came to Wesleyan in 2003. Buehring, of Middletown, enjoys practicing Buddhism, crafting, knitting and reading non-fiction books about politics and education. Lennie Sweeny, top, and Maureen Tosto, left, have worked for Wesleyan’s Campus Dining Services for more than 35 years combined. 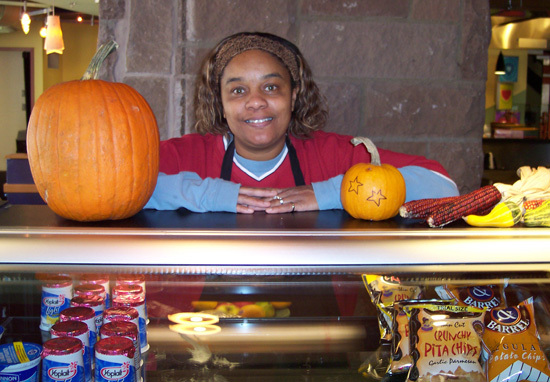 Sweeny works as a cook in Summerfields and Tosto is a cashier at the Davenport Campus Center. Lennie Sweeny (LS): Second cook. I do the prep work for the first cooks. Theyre the ones who are in charge of everything. You could call me the soup lady, because I make all the soups and chili. 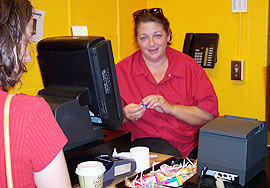 Maureen Tosto (MT): Im a cashier. Q: How many years have you worked in food services? LS: Ive been working for Wesleyan for 20 years. Seventeen of those years I worked at the Campus Center as a cashier and in salad, deli and beverage stock. Ive been here in Summerfields for the past three years. MT: I came here in 1984, but I left because I was pregnant. I came back in 1989. Im a cashier now in the Campus Center, but Ive done everything here. Ive been in beverage stock, and I worked at Summerfields briefly as a line server. Q: What are your job duties? LS: My job first and foremost is to make the soup, and then I help prep other foods. I make two soups a day. The most popular soup is my clam chowder. I cook it with bacon bits and put my heart into it. Well go through four pots of that, and only one pot of tomato soup. Students love the cream soups. Yesterday we had a cream soup and by 12 noon there was no more, period. MT: I monitor the students meal points on their cards and let them know if theyre low. Some of them pay cash. At lunchtime its bang, bang, bang. Q: What hours do you typically work? LS: I work 6 a.m. to 2 p.m. Monday through Thursday and 6 to 11 a.m. Friday. MT: I work 7 a.m. to 3 p.m. Monday through Friday. I love those hours. Q: Is working in food service stressful? LS: Not here in Summerfields. Absolutely not. We all get along and work together to get the job done. No one says, Thats not my job. Charlie Moorehead is our boss and we love him and he loves us. MT: No, I thrive on this. Q: What is the best part about working in dining services? LS: I like the atmosphere of the job here. I like how were all so close. MT: I love the students. I still get emails from some of them who wanted to stay in contact. I love that I have a birds-eye view of every thing that goes on in here. Always something interesting to look at. Q: What is your interaction with the students? LS: I am always in the kitchen. When I worked at the Campus Center, the students were the best part of the job. Id give at least 500 hugs a day and tell them everything is going to be OK during their exams. These kids are away from home and not seeing their moms and they all can use a hug. Hugs are good for the soul. MT: Im constantly working with the students. I like to give them a question of the day, sort of like a David Letterman poll. Last week I was asking, Did you get a flu shot? We have some interesting conversations. Q: How many students are served in the Campus Center a day? MT: When Lennie worked here, we had about 900 go through the line a day. But now things are more spread out on campus so that number has dwindled. Q: Do you eat meals prepared in Summerfields and Campus Center? LS: Usually I dont have time. I rather make it than eat it. But I am here to make the best food I can possibly make. If I wont eat it, then youre not going to eat it. MT: Sometimes Ill go upstairs to Stephanies and have organic food. I love beets. I also drink a lot of Starbucks Doubleshots. Have you ever had one? I usually have four of them a day. MT: I like seafood. I love shrimp. LS: Of all the soups I make, my personal favorite is the chicken stew. Breakfast is my favorite meal to make. Q: Do you cook at home? MT: I love to cook. I cook like Im Italian even though Im Irish. Every Sunday I make two or three big dinners like roast beef or sausage and peppers and they last us throughout the week. LS: I dont. I spend enough time doing that here. Q: Do you have families? LS: I have two boys, Arnie, who is 24, and Randall, who is 22. Randall works at McConaughy Dining Hall. Everyone calls him Oogie. I also have a granddaughter named Amara. Shes 3, and we spend lots of time playing with Elmo and going to Chuck E. Cheese and the park. We all live here in Middletown. MT: I have three girls. Melissa is 27 and she is a second grade teacher in Middletown. Im going to repay her student loans the rest of my life. My daughter Katie turned 21 last week and she had a big party with 300 guests, but I pulled through. Amy is my youngest. She is 19. We also live in Middletown. Q: How far back do you two go? MT: We go way back, some 20-something years. Her boys used to come over and play Atari, and thats just when it came out. LS: I like to support people. If I wake up and I am alive, I think, I was given a chance to do something today and how dare we complain about anything. I like to give hugs and help others. Im always willing to help people who are struggling. That is my hobby. MT: I stay home on Friday nights and wait for my girls to come home safely. Dan Michaud has been appointed as the interim associate vice president for Human Resources to manage a new department including Payroll, Benefits and Human Resources. A recent reorganization of services has combined the Human Resources Department with the Payroll and Benefits Offices. The reorganization became effective on Wednesday, Nov. 9 and was announced by John C. Meerts, interim vice president for finance and treasurer and vice president for Information Technology Services. The intent is to create a single, one-stop office that handles compensation, benefits, personnel information, transactions and recruitment. Meerts adds that the offices will eventually be combined physically at a single location to provide additional convenience for faculty and staff. 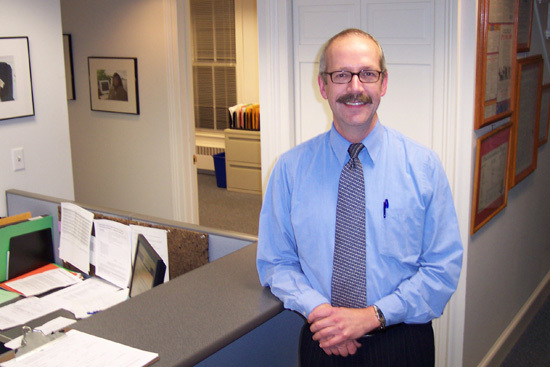 Dan Michaud has been appointed as the interim associate vice president for human resources to manage the new expanded department. Michaud comes to Wesleyan from Caritas Christi Health Care in Boston, Mass. Meerts and Michaud hope to finalize a new location for the department in the near future.